Where is Spa Francorchamps in Belgium? 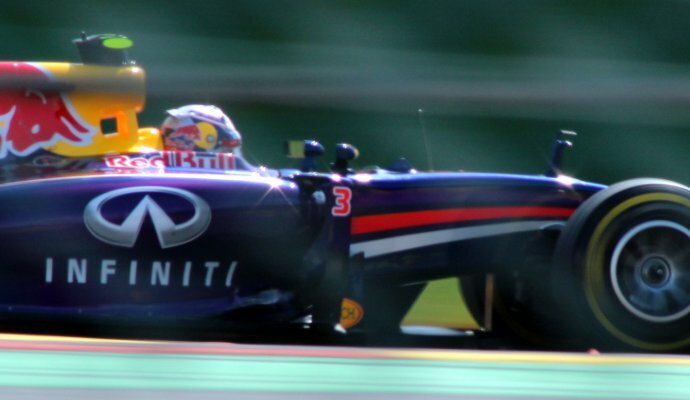 The challenging 7km track (the longest of the Formula One season) is situated a little over 8km from the town of Spa. The charismatic town as of yet doesn’t have its own airport, so we recommend chartering your private jet to nearby Liège (just a forty minute drive away) or to Brussels (a straight-forward two hour drive). With plenty to see and do in both cities, you’d be well advised to use your time in either of these by paying a visit to one of the many excellent restaurants and bars available to you. Dine in style at Le Selys in Liège, a highly-acclaimed restaurant directed by Michelin Star rated Chef Samuel Blanc, or pick from the world-record 2, 000 beers on offer at the live-wire bar Delirium in Brussels. 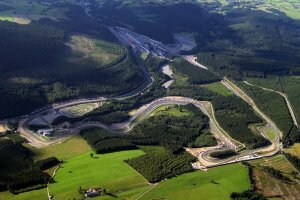 Twisting and turning into the heart of Belgium’s Ardennes forest, the Circuit De Spa-Francorchamps long straights, high-speed corners and constant elevation changes make it a genuine challenge for today’s drivers. During the 1970s the track was regarded as too dangerous for racers, with the Belgian Grand Prix held at alternative venues until drastic alterations were made to ensure the safety of all involved. With those changes made, iconic corners like Pouhon, Eau Rouge, Blanchimont and La Source have all become fully ingrained into racing culture. You’ll get a full view of the aforementioned La Source by booking a corner suite at the Hotel De La Source, a modern design hotel ideally placed for those who want to be based close to the action. While Spa is known the world over for its spring water, it’s the kind that falls from clouds that we recommend taking into account if you’re planning a visit. Don’t let the same unpredictable weather that scuppered Michael Schumacher’s chance of victory in the memorable 1998 Grand Prix mess up your weekend by ensuring you’ve got your raincoat to hand at all times during the race weekend. For anyone looking for a real VIP experience of the race, try the exclusive Formula One Paddock Club. Describing itself as ‘the most prestigious of the hospitality packages’ available to fans, you’ll enjoy privileged access to the pit lane where you’ll see up close where the team engineers work their magic. You’ll also be treated to a delicious gourmet lunch served with a selection of fine local wines, entry to the support race paddock, access to the private pit roof and Chill Out Lounge (a regular haunt of celebs, F1 drivers and team leaders), as well as prime viewing position of the unmissable action on the track itself. - What is the Weather in Belgium?